"From Local to Global, Art & Culture for a Cause"
ROCX invites you to celebrate Romania’s rich culture of folklore and film at the 6th annual Romanian Cultural Marathon. The event takes place at Facets Theater, in Chicago the weekend of Friday, September 19th until Sunday, September 21st 2014. This year’s theme "From Local to Global, Art & Culture for a Cause" showcases and celebrates members from within the community and the contributions they have made, while promoting our culture, country and people. ROCX is an all-volunteer, Chicago-based nonprofit organization, dedicated to promoting creative programs and projects focused on intercultural and educational exchange. Our mission is to collaborate with Romanian-American and other local organizations to promote Romanian cultural values and to help create a stronger, more unified community. 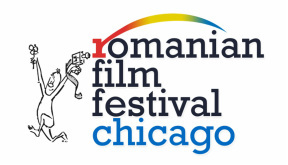 Visit the Romanian Film Festival Archive Page to learn more. Send us an email to share exciting news!